Topic: 1963: "Namespace Land Rush"
Re: 1963: "Namespace Land Rush"
You can also just mash the keyboard at random, but you might end up with a gibberish name no one can pronounce. I'm not sure what this means. A reference to the name of the comic (xkcd)? Or maybe, just maybe, it's fhqwhgads. orthogon wrote: for a European, ordering food in the US is a wonderful experience until the novelty wears off. That, or until you realize that the amount of money you have to pay is more than the price listed on any menu. It's funny. I was just reading an article on this ruling. After that, the very next page I visit is XKCD, and I see this. The question that asks how old are you doesn't specify a unit of measure. Anyway, not wanting to give a round number of years, I decided to calculate my age to the day. I'm exactly 12,000 days old today. Topic: 1571: "Car Model Names"
Re: 1571: "Car Model Names"
LaughingTulkas wrote: The reference to FHQWAGADS is making me WAY more happy than it should. I came here to say exactly the same thing. In fact, I stopped reading the comic and went straight to the forum. Also, it's fhqwhgads. XKCD #1570 wrote: title="The less common, even worse outcome: "3: [everyone in the financial system] WOW, where did all my money just go?"" I disagree with this being less common. Seems to happen every few years or so. Title wrote: WARNING: This item was aged by the same inexorable passage of time that also produces nuts. Processes nuts, not "produces" nuts. Every time someone hides title text in a spoiler tag, an angel loses its wings. Maybe beret guy is just trying to start a campfire by focusing the starlight onto a single point using the magnifying glass. Kinda like how they do it with the sun, only this time with the light of a thousand suns (albeit millions of times farther away). What if it's one of those cartoon flagpoles that bends so much that it flings you back upwards, so you don't even have to swing around? The "Data or Axis" box in the upper-right actually gives you "Line" and "Axis" as options. Topic: What-If 0128: "Zippo Phone"
Re: What-If 0128: "Zippo Phone"
Anybody else think he missed a perfect opportunity to nest footnotes within footnotes with items 1, 2, 3 and 4? No complaints yet about the wrapping of the alt text in a spoiler tag? Or not adding OP's own comments to the thread. People must still be recovering from New Year celebrations. Copper Bezel wrote: Yeah, but while we could assume some uniformity in the speed of the harvesters, it's very unlikely that humans' running speeds would be so uniform. I saw no reference to humans in that chart. Pfhorrest wrote: You got the quote attribution wrong, and also that doesn't solve the problem, which is that logically you cannot run for 27 seconds if you only have 24 seconds of life in which to do it. The 24-second clock starts ticking after the 27-second head start. I would say that this same chart can also apply to cost, in addition to time. Cost to do all the studies and reports justifying choosing A over B: $200. Topic: 1419: "On The Phone"
Topic: What-if 0104: "Global Snow"
Re: What-if 0104: "Global Snow"
dalcde wrote: No citations at all? I just saw this comic referenced on the CBC home page. Topic: What-If 0090: "Great Tree, Great Axe"
Re: What-If 0090: "Great Tree, Great Axe"
Pretty interesting, but he could have proofread the thing one more time before posting. Topic: What-If 0075: "Phone Keypad"
Topic: What-If 0071: "Stirring Tea"
Re: What-If 0071: "Stirring Tea"
There are probably people here who are too young to remember its heyday. 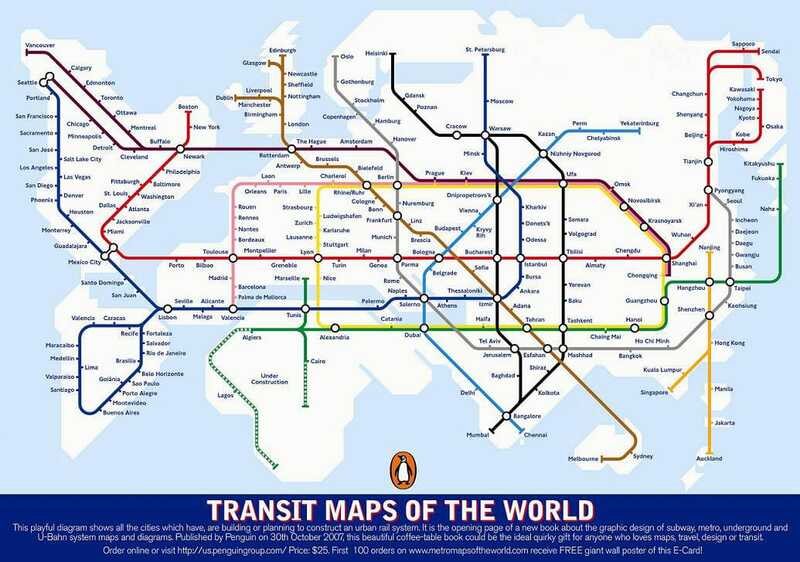 CharlieBing wrote: I wandered through this thread and didn't see this wonderful global homage to Harry Beck that was the cover to a book about subway maps... wonderful stuff. Dude got Chicago and Minneapolis switched. That calls into question the legitimacy of the entire map. Surprised nobody has pointed out his cheating of the Chicago-LA connection (no, not counting the Forest Park-Pasadena bus that runs every 15 minutes). He connected LA's Purple Line to Chicago, but the line in Chicago he used is actually the Pink Line, not the Purple Line. I'm told that if you wait a billion years, this comic will change to something different.